Over twenty years ago ‘woven shibori’ was launched onto the world stage by Catharine Ellis of North Carolina, USA and Kay Faulkner of Birkdale, Australia. Their research occurred independently and simultaneously. At Convergence 1998, an international weaving conference in Atlanta USA, Ellis taught the first workshop on woven shibori and Faulkner had the first article published in Weavers magazine. When they met, they discovered many parallels, and since then Ellis and Faulkner continued a friendship forged by an ongoing fascination with the process and a willingness to share. In many ways their approaches are similar while in others they are very different. Woven shibori requires the combined skill of both the weaver and the dyer, historically a unique combination. Both artists made the decision to share their research and have taught the process to weavers around the world. Others have now embraced what Ellis and Faulkner began and implemented it into their own work. The technique has had a significant effect on weaving internationally and the term ‘woven shibori’ has become part of the weaving vocabulary. Twenty years is a significant period of time to mark their discovery and Parallel includes work from their own independent practices over these two decades. 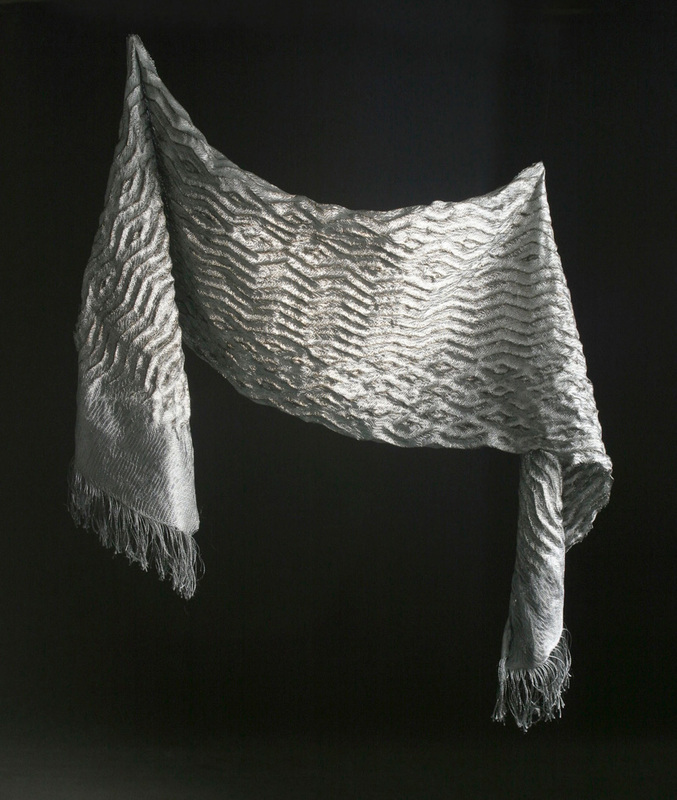 Image: Catharine Ellis, Four hundred steel threads 2005, hand woven stainless steel, woven Shibori torched. Courtesy of the artist. Photography by Robert Gibson.